This website also allows you to email your city council on the current bylaw reform issue relevant for your city. 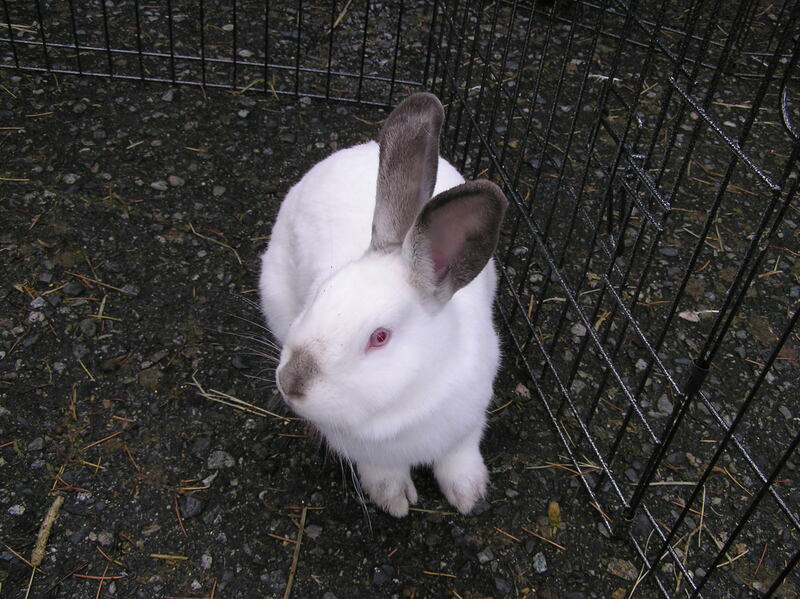 A special thanks to Geoff Urton at the BC SPCA for sending this my way. The Hugabull Advocacy and Rescue Society is hosting Calgary’s Animal Control and Bylaw director to speak about the success of Calgary’s animal control and dog safety education policies. 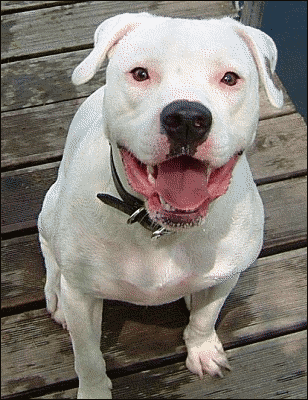 Find out more here on the Hugabull website. Curious about how Calgary made changes to from having over 1000 dog bites per year to less than 150? Check out the details here. Click here for original Richmond News article. Not everyone is ready to adopt a pet. It takes a commitment to care for an animal for the rest of his or her life. For students or people who may move or expect other big life changes, it’s not the best time to make that commitment. Nevertheless, for those who love animals, the draw to care for them is still there. So here is an excellent opportunity for the public to foster pregnant or nursing cats and kittens a few months before the sweet, furry babies and mothers are adopted to new homes. The Vancouver Orphan Kitten Rescue Association (VOKRA) is a registered charity that rescues pregnant cats and orphaned kittens from much of the Metro Vancouver area. But this year, their rescue is packed full with more than 300 cats or kittens waiting for a temporary home prior to being adopted. This is where you may be able to help. VOKRA is looking for people to foster either a pregnant or nursing, mother cat, with groups of two or three kittens that need some care and socialization prior to adoption or an adult cat waiting for the right home. VOKRA does not operate a shelter. They depend entirely on volunteer foster parents to share their home with some cats needing temporary shelter. VOKRA provides you with the food, litter and medical care for the cats and kittens, and just asks that you be able to pick up the felines to take them to your home if you can. If you foster a mother-cat-to-be, you will be provided with a handbook on signs to watch for when the little kittens are on their way into the world and how to care for the mother and new kittens. VOKRA is looking for foster homes that are quiet and preferably have no other animals in the house or where the animals live in a different part of the home. For a mother cat, the best place to keep her is in a spare bathroom where she can be safe and secure, and the room can be easily cleaned. All cats and kittens should be kept someplace where they can’t escape out of fear or confusion from their new surroundings. It’s important that all the members of the household agree to foster the felines, but one adult should be in charge of the operation and liaise with VOKRA. Richmond resident Maria Law decided fostering with VOKRA might work for her, and she started by fostering two young kittens of just six weeks of age. 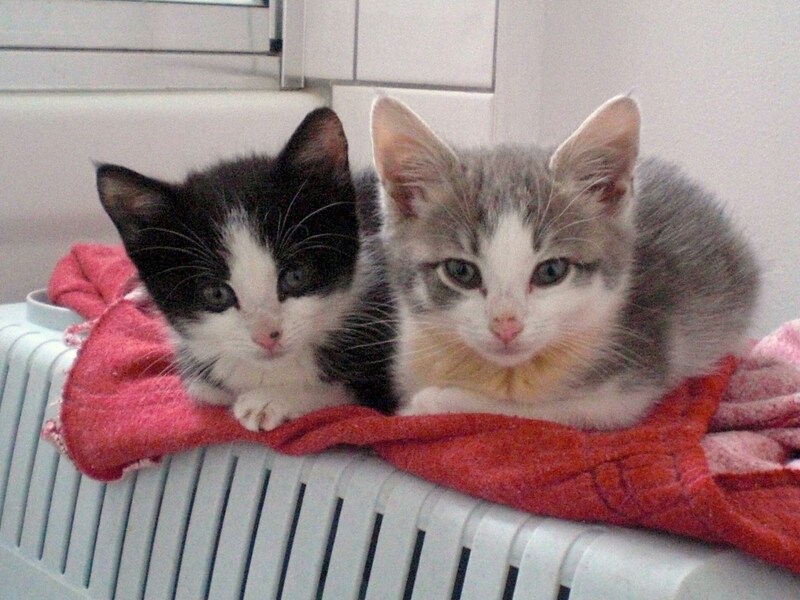 One black and white and one gray and white, Law named her new charges Hansel and Gretel. Both kittens have cute little dots on their noses. Law says it only takes about a half-hour a day to feed the kittens and clean their litter box, and the rest of the time she spends with them is playtime. Law also says it’s important to train the kittens not to bite your ankles and scratch you, and this training helps them to become wonderful adult cats. Law has had the kittens for four weeks now, and it’s time for them to be adopted. Law sent in pictures of the kittens for the VOKRA website and wrote biographies about the personalities of the little fur balls. I asked Law if it would be difficult to say goodbye when the kittens are adopted. So do you think you could be a good foster parent or grandparent? Check out the VOKRA website www.orphankittenrescue.com for more information and an application. 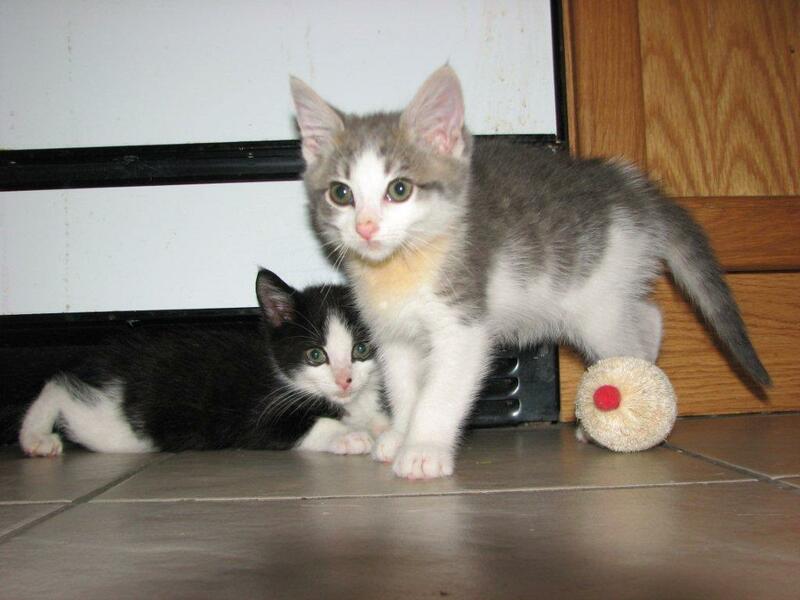 Hansel and Gretel are up on the website too, along with all the kittens for adoption. Moreover, VOKRA has wonderful adult cats for adoption who often get over-looked amongst all the kittens. But these adult cats make wonderful companions. Check out their photos and biographies as well on the VOKRA website. This morning news outlets are buzzing that the 46 Ontario SPCA charges of animal cruelty against the Toronto Humane Society have been dropped. The crown prosecutor decided that the evidence collected in a 56 day search of the Humane Society could not be used because the Ontario SPCA invited media to attend and hired a PR consulting firm to either raise the profile of the case or simply handle the media — depending on whose side of the story you believe. See this in-depth report. This is a very sad story, not just because of the magnitude of the cruelty charges, but the fact that the issues in the case won’t be considered in court due to the SPCA’s media relations choices to publicize the event too widely and film the arrests of staff at the Toronto shelter. This situation is such a lesson to us all in choosing to be honest about the cruelty issues that we see, but collecting our evidence diligently and accurately and not in a sensationalist manner. The Ontario SPCA may have presented plenty of evidence to charge those involved in the case, and the media would have covered the story regardless of whether they were invited by the OSPCA. 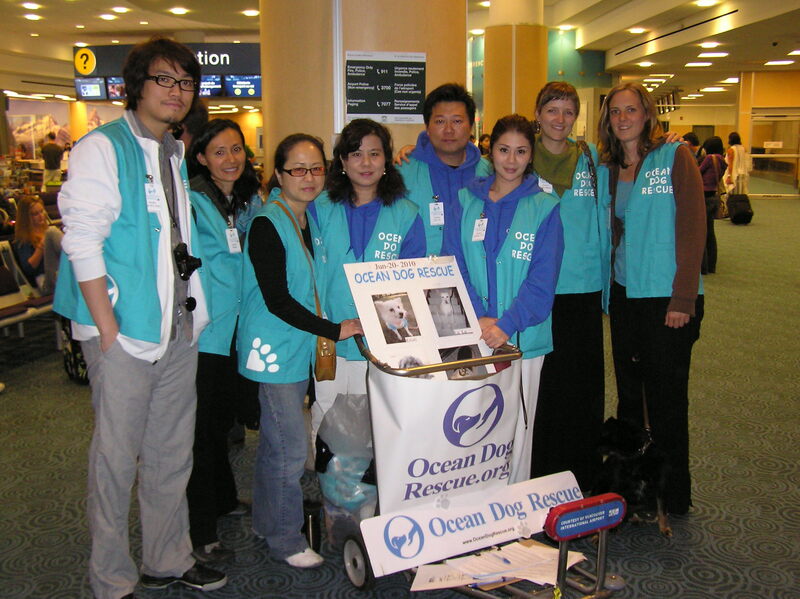 Ocean Dog Rescue is a wonderful organization that works to bring stray, neglected and abused dogs from Taiwan and place them in good homes in the Vancouver/Richmond area. 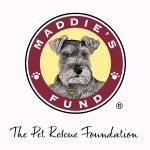 They have helped many animals through Petfinder.com, but they are now having some difficulty with some of Petfinders.com’s change in policies. To correct this administrative problem, Ocean Dog Rescue has started a petition to show Petfinder that many people support overseas adoptions to help homeless animals. Please take a moment to read and sign the petition. It only take a few minutes and you’ll be helping Ocean Dog Rescue make a difference around the world!